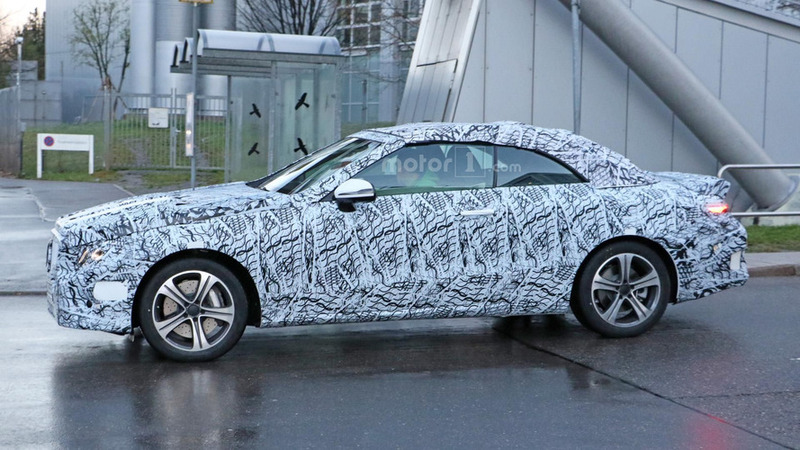 The Mercedes E Class Cabriolet has been spied undergoing testing for the first time. 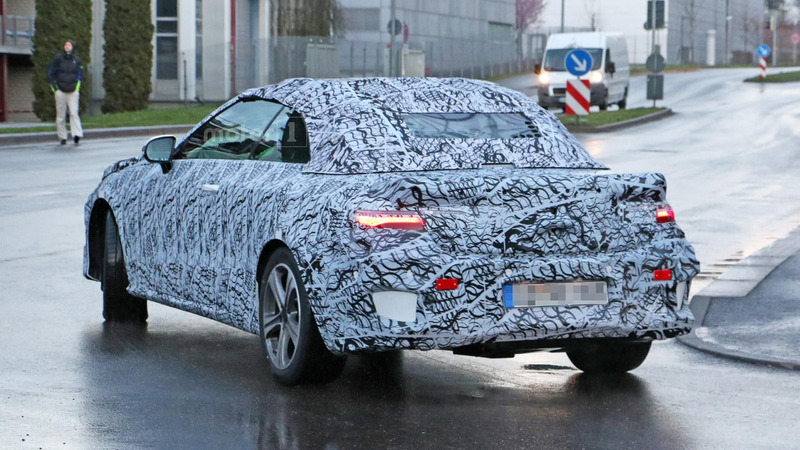 Set to be unveiled sometime next year, the prototype is heavily camouflaged but is expected to follow in the footsteps of the E Class Coupe. This means we can expect the model will have a single bar grille, dynamic body work, and familiar headlights. Our spies couldn't get close enough to snap interior pictures but the cabin will likely echo the sedan and feature higher quality materials as well as a modern design. Nothing is official but the convertible should have a new steering wheel with touch-sensitive control buttons and a digital instrument cluster with two 12.3-inch displays. Engine options will carryover from the E Class sedan, so we can expect a variety of different powertrains including a turbocharged 2.0-liter four-cylinder with 241 horsepower as well as a handful of diesels with outputs of 195 hp and 258 hp. 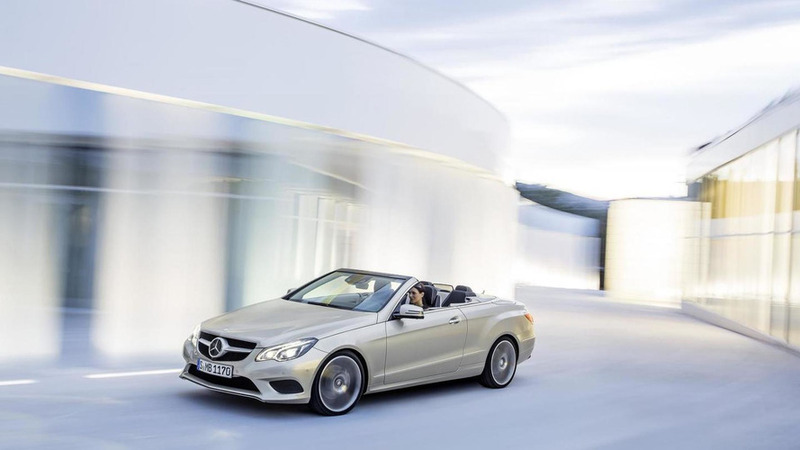 The current E Class Cabriolet eschewed an AMG variant but the redesigned model could gain an E43 version that has a biturbo 3.0-liter V6 engine that develops 396 hp and 384 pound-feet of torque. Later on, it could be joined by a high-performance E63 model with a biturbo 4.0-liter V8 engine that develops approximately 550 hp.